Most adults suffer from back pain. Don’t let your back pain keep you from working or doing the things you enjoy. Visit a spine care doctor. Tests can determine the cause of your pain. Your doctor will discuss a plan of treatment. Conservative means can be tried, but if you can’t get relief from your chronic pain, your doctor may recommend spinal fusion surgery. From diagnosis to recovery, you can get excellent spine care in Jacksonville, FL. Don’t suffer in silence. Take the first step toward getting relief from your chronic back pain. X-rays, a CT scan, or an MRI can show structural bone changes in your back. Such changes may be the source of your back pain. More advanced testing can detect inflammation or an infection that may be the source of your back problem. Your doctor may start by giving you a list of exercises to perform to strengthen your muscles. Your doctor may recommend a heating pad to relieve soreness. The doctor may suggest over-the-counter pain relievers or something to reduce inflammation. The doctor may prescribe nonsteroidal anti-inflammatories, such as Cox-2 inhibitors, on a short-term basis. Conservative treatment may be all it takes to relieve your back pain. If conservative treatment doesn’t do the job, your doctor may recommend a spinal fusion. This procedure fuses or connects vertebrae in your back. A spinal fusion may be necessary if you break a vertebra or if you have a deformity in your spine. A spinal fusion is used to treat spondylolisthesis, a condition where a vertebra moves into the vertebra beneath it. A spinal fusion can stabilize your spine after you’ve had surgery to remove a herniated disc. How can spinal fusion help you? By fixing the source of the problem—the broken vertebra or the disc problem—you can get relief from your chronic back pain, gain increased mobility, and obtain more stability in your back. The procedure changes how your spine works, shifting stress to other areas of your spine. This may speed up the wear and tear on your spine and lead to damage and pain in the future. You decide whether reducing your chronic pain is worth the risk. You’ll have 2 incisions during the process—one to allow the surgeon to reach your spinal cord and a second to graft bone. The bone is placed between the vertebrae, and metal plates, screws, or rods are used to hold the vertebrae together while the bone graft heals. After a short hospital stay, you’ll be on the road to recovery. It’ll take some time for your bones to heal, and you may have to wear a brace. You’ll undergo physical therapy. You’ll need to learn how to stand and walk to keep your newly-constructed spine in line. 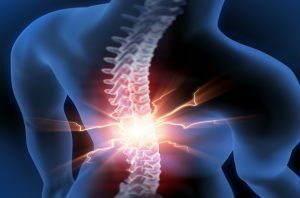 Doctors at Southeast Orthopedic Specialists will diagnose the cause of your back pain, try conservative treatment, and perform a spinal fusion if needed to reduce your chronic back pain. Call today to get relief from your back pain.